You can’t travel far on Romney Marsh before coming across a ditch. These waterways criss-cross every part of the marsh and are evidence of man’s efforts to control water in this very low-lying landscape. 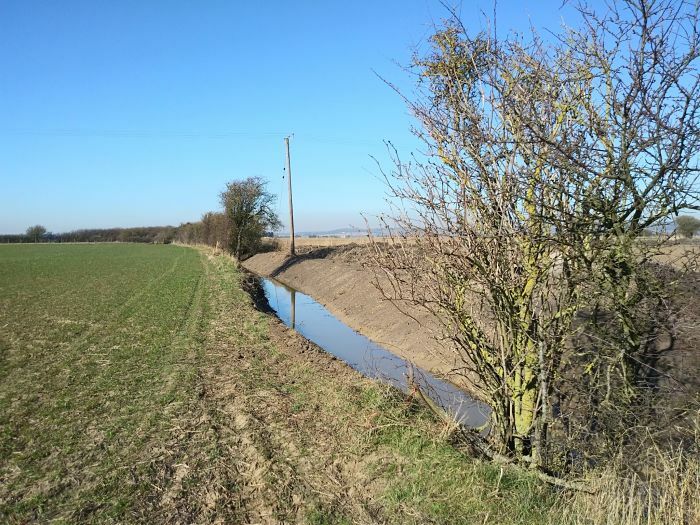 Centuries of land drainage have reduced marshy habitats from covering the land to existing solely within the ditch system and as such vulnerable to change. This project is looking at ways of enhancing the ditch network for wildlife in two ways. 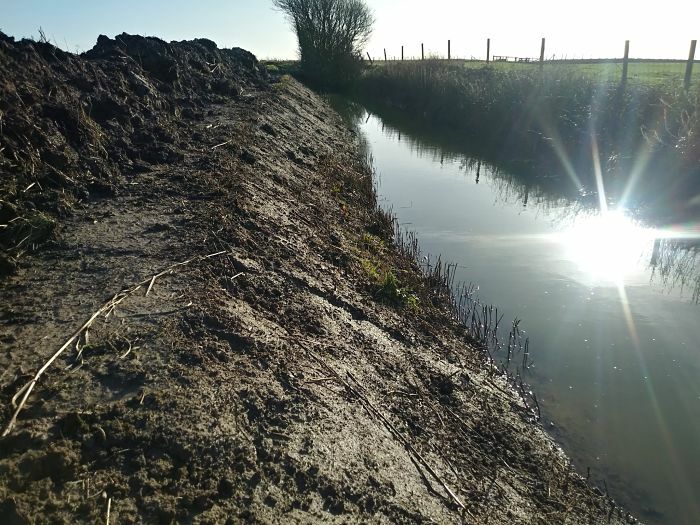 Firstly by providing funding and coordination of capital works to ditches that have been left unmanaged for a long time or are looking to improve the shape of them to benefit wildlife. The other strand is by providing workshops and advice leaflets to land owners and land managers on how best to manage ditches, the real win here is that benefitting wildlife also benefits landowners by creating a more resilient ditch network able to hold water when needed during dry spells and provide storage to prevent flooding when it is wet. 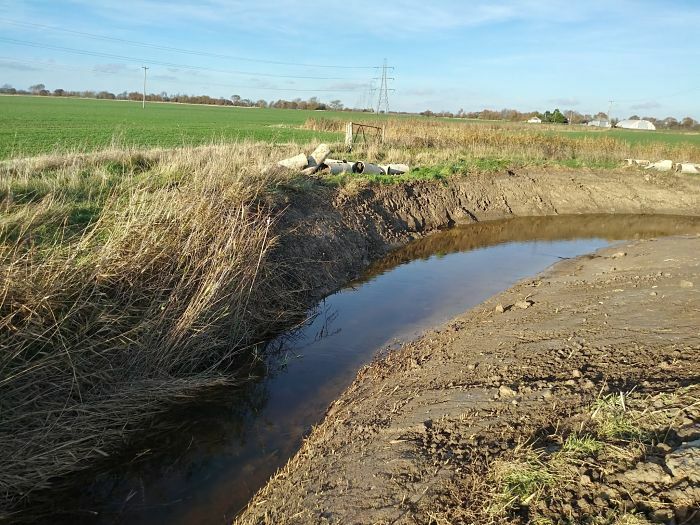 By funding the initial outlay for ditch re-profiling which can be prohibitively expensive, it allows cheaper regular maintenance to be carried out more efficiently and provides excellent legacy for the project. Blue Lanes contributes to Restore project theme. There are opportunities to become volunteer wildlife surveyors. From April to September there is the chance to come out and survey ditches for wildlife. This is a vital part of deciding what management will be needed. 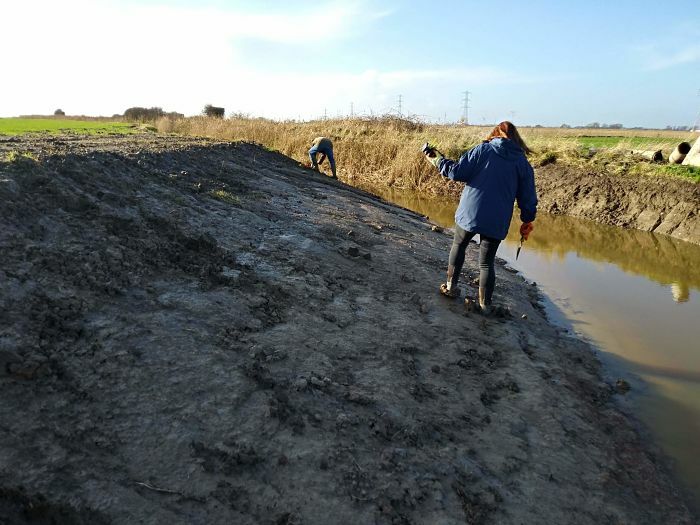 No experience necessary as there will be training opportunities within the Monitoring of the Marsh Project but a keenness to learn and an acceptance of getting muddy are essential! Ditch works have now been completed for the season and we are looking forward to seeing how the ditches develop. Survey season starts shortly, so we are now looking for sites for next year. Site visit on 25 February with Bumblebee Project to view ditch works completed on a farm. Where possible Bumblebee Project donate suitable flowers to be planted along the ditch for bumblebees. Now looking for sites for next year. 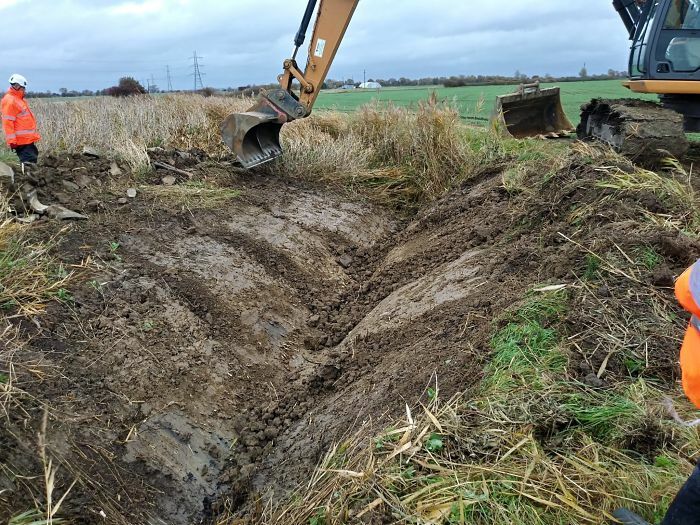 Re-profiled ditch banks – finishing off works at the Little Cheyne Court Wind farm, which brings the total length of re-profiled ditches to 2km. In same location, the shallow pond we created last year is filling up. Works started off Kingsmarsh Lane near Lydd. Works carried out to benefit water voles. Two old pipes taken out and 600m of watercourse now suitable for voles. With the help of volunteers, we have started surveying additional ditches to inform future works. This will continue on a weekly basis for approximately eight weeks. Help with survey work would be gratefully received. A drone has captured film footage of the works in progress. This will be repeated once the plants have re-grown and put into a film, which will be shared once it is complete. A drone has been organised to fly over the area to capture film footage of the works to ditches. We have finished works for this year on this site. 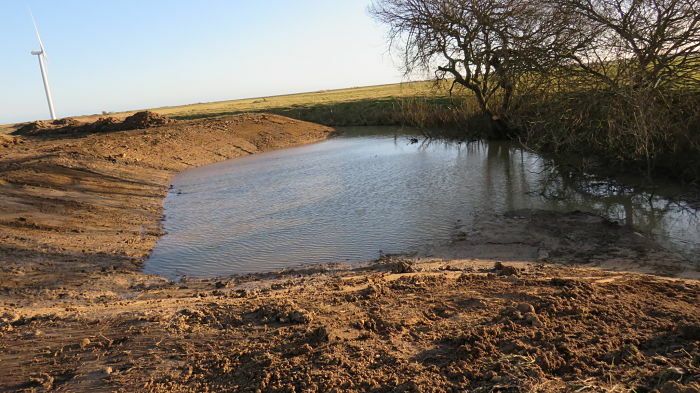 Over 1.6 km of ditch restored so far and have a look at our new pond! it may look rather muddy at the moment but in spring new growth will start. Can’t wait to see what grows up! Works have started at the first site to improve the ditches for wildlife. The landowner has kindly agreed to putting in some big wildlife friendly features, so watch this space for details! New landowners are coming on board to look at doing works next winter, surveys will begin in spring 2018.